To respond to the Do Now U, you can comment below or post your response on Twitter. Just be sure to include #DoNowUMilk and @KQEDedspace in your posts. Got Milk? From 1993 through 2014, the American public was familiar with this catchphrase and popular advertising campaign. However, facing sluggish sales in light of a growing market for other beverages, the milk industry has shifted focus with a new “Milk Life” campaign, highlighting the nutritional benefits of the former dietary staple. Since dropping the catchphrase in 2014, the industry has faced a bigger question: should you have milk? With both proponents and opponents using nutritional support in their cases for and against traditional cow’s milk, is dairy as good as some say or as bad as others say? The research supporting the avoidance of milk calls on a variety of compelling health statistics. A single serving of whole milk contains 20% of the recommended daily allowance (RDA) of saturated fats and up to 24 mg of cholesterol. Because dairy products contribute to the overall saturated fat, calorie, and cholesterol content of the diet, they also contribute to increased risk of obesity, heart disease, and type 2 diabetes ). Other studies have shown milk and other dairy products linked to prostate cancer in men and ovarian cancer in women. But what about milk being good for school-aged children? Although milk is a great calcium source, the animal proteins in dairy can have a calcium leaching-effect. Because of this, researchers are reevaluating milk’s relationship to bone health. For example, a Swedish study determined that women who drank milk were more likely to develop fractures than women who drank little to no milk. Additional studies have shown that the consumption of cow’s milk correlates to prevalence of acne in girls and boys. And, although the effects aren’t certain, the antibiotics pumped into cows may lead to antibiotic resistance in humans who consume milk and other dairy products. Lastly, 75% of the world’s adult population is intolerant to lactose, the sugar found in many milk products, suggesting that the human body is not suited for extended consumption of dairy. However, milk is one of the most nutrient-rich beverages a human can consume. It contains a little bit of everything we need: calcium, vitamin D, riboflavin, vitamin B12, potassium, phosphorus, vitamin A, vitamins B1 and B6, selenium, zinc and magnesium. The complex set of fatty acids in milk are also beneficial to our health. Some studies indicate a link between consuming dairy products and a lowered risk of hypertension, certain cancers, and coronary heart disease. In terms of bone health, although countries with low dairy consumption have less cases of osteoporosis, the majority of evidence supports that calcium from dairy promotes bone density, limits osteoporosis, and prevents fractures in the elderly population. This paradox remains unexplained, though confirmed by Swedish research indicating both higher mortality in women and men and higher risk of hip fracture in women with increased milk consumption. The same effects were not seen with consumption of non-milk dairy foods such as cheese and yogurt, so lactose or galactose may be the culprit since they are present in milk but are found at much lower levels in other dairy foods. What do you think? Is milk good or bad for you? Do the potential health risks of drinking milk outweigh the high nutritional content it offers? This article introduces an argument for why dairy is bad for humans and also explains the nutritional benefits that milk provides consumers. This infographic shows the percentage of RDA of all the nutrients found in milk, and also demonstrates the various health benefits dairy products have for the body. This article discusses 11 reasons that milk is bad for your health. This site look at the link between calcium and healthy bones, and whether or not milk should be a main source of calcium. This post was written by Kayla Ostrom, Adeline Fulmer, Julia Hagaman, Heather Ramsey and Elaina Carlisle, students at Lipscomb University. I agreed with you until you suggested goat milk. As you said earlier, cow’s milk is not meant to be in the human body and neither is goat milk. That’s why I said if you absolutely have to have milk in your home it’s a better option 😉 Some people who have been addicted to milk all their lives find it “impossible” to give up entirely at first. I personally don’t think milk is bad for you. I don’t really think that milk is the problem. Milk isn’t the thing that made kids fat. What made them fat is their lack of exercise and their inability to watch what they eat. In the video, there was a lunch lady complaining about how there is too much sugar in these chocolate milks. Do they really believe that milk is the real problem? You have go to be kidding me, it’s all the damn junk food they eat. Besides, those school lunches aren’t too healthy either. Kids have an option to eat pizza every day for lunch and you’re going to blame this on chocolate milk. “Milk is one of the most highly regulated foods in America. All types of milk pictured below are equally wholesome and safe to drink, including organic and conventional varieties. Below are your need-to-know facts.”(Daily Counsel of California) Milk benefits you in so many ways. You get much needed vitamin D and vitamin C. Chocolate milk isn’t any different. Chocolate milk has all of these benefits too; these people are outrageous to think that chocolate milk is bad for you. Just because it has a few more grams of sugar and calories doesn’t mean that it still isn’t beneficial for you. What we really need to do is stop babying kids and make them work out. It doesn’t matter if they are tired or if they don’t want to, they need to. It will help them actually become a physically fit person. “Also, let’s not forget that dairy contains more than just calcium. It also provides many other nutrients that are highly beneficial for bone health, including protein, phosphorus and (in the case of grass-fed, full-fat dairy) Vitamin K2.” (Kris Gunnars) Milk is so good for you. I really can’t believe that people would have the audacity to call out milk and say it’s not good for you. That’s like saying you shouldn’t eat vegetables. “Numerous studies show that dairy products have clear benefits for bone health. They improve bone density in the young and lower the risk of fractures in the elderly.” Milk can help people of all ages. In the article “Is Dairy Bad for You, or Good? The Milky, Cheesy Truth” it talked about all of the nutrients that are in milk and all of the ways that they can be beneficial to you. But, it also talked about all of the people that are lactose intolerant. These people should avoid all of the dairy products, but there are other alternatives for these people. They do make lactose free milk. You are not even missing out on all for the nutrients. These have the same amount of nutrients as regular milk that you would get from a cow. Overall, I feel that milk is very beneficial for you and that it shouldn’t be frowned upon. What we really need to focus on is getting these kids to exercise and not sit on their butts all day. lead to prostate cancer in men and ovarian cancer in women. and we are definitely the only species to drink milk from another species. with a strong, firm, NO! or bad, it’s a matter of how children learn to eat at home. they don’t eat healthy foods. if other animals could do this, they wouldn’t hesitate to do so. These debates whether milk is good or bad for you is a really hot topic right now. Specifically, about chocolate milk being served in school. They’re saying that it is increasing the percentage of obesity, but quite frankly, I do not agree. I mean sure chocolate mil has a lot of sugar and fat in it but it also contains a little bit of everything that we need; potassium, vitamins, etc. Although, even though the school thinks chocolate milk is the problem, that is only a small portion iof it. You still have all the processed foods and junk food to worry about which is way more efective than chocolare is. I don’t think they should be worrying about the chocolate milk so much. I think that milk is good if it is produced by healthy cows and given to us properly, but the way some companies do it is they make our taste buds enjoy the sweetness to our liking. Now we may like it this way, but think about how many sugars you’re gulping down your throat that can affect your body. Like they said, the typical milk has 170 calories and contains at least 28 grams of sugar that can lead innocent individuals having to deal with the risks of obesity, heart disease, type 2 diabetes, cancers, and acne. And I know that we do not like having acne! There are many benefits from drinking milk because it pertains to stronger bone and it’s nutritional. It’s true that flavored milk contains more sugar, but at least children are getting there calcium and vitamin. The worst case scenario possible could be children asking to eat vanilla ice cream instead of drinking milk so adults should stop complaining. I do think milk is bad for you. I don’t think milk is the only thing contributing to childhood obesity though. Schools sell junk food, serve junk food, and serve processed foods with little to no nutritional value. Which is contributing to childhood obesity. Processed food is bad for you in general and milk is also processed. We should just take processed food out of our schools all together and stop arguing about milk. Milk itself has a high fat content and has a lot of sugar as well. Along with the negative nutritional values, we are also the only species that feels like they need another species milk. Dairy cows are also not treated and fed well and most of the time are injected with tons of hormones that we don’t need in our bodies. You can get your nutritional needs from other sources of food. Milk is good for you, when it is not flavored. It is natural beverage that provides humans with so many nutrients and vitamins. It seems there is a lot of evidence saying it is unhealthy however compared to other beverages like juice and soda, milk is much healthier. The problem is when milk is flavored and the kids drinking it can become obese. I believe milk is good for you, most people worry about the sugar but the new chocolate milk cuts down the sugar and calories. The thing that mostly make kids obesity is the processed foods and the junk foods that the school sells that the kids are buying. Milk can be good for you because of the nutrition that you’re getting from consuming it. But if we considered the health risks that it can link us to I don’t think the intake of milk should be consume on a daily. But milk comparing to other beverages it is more nutritious and benefical. I believe milk is bad for us because it has more negative effects than positive ones. Milk is known to have a high fat content and contains a unhealthy amount of sugar as well.Studies have even shown that some dairy products have been linked to prostate cancer on men and ovarian cancer in women. I am actually scared to drink milk now Haha… because ain’t nobody want to have all these risk of diseases and stuff. Like why drink milk if it has some good and very bad things. Im most likely gonna drink water because it has literally nothing in there. so that’s my opinion milk is bad. Don’t be afraid just because there is potential risk. Literally everything in life has some good and some bad things, you just have to decide where the greatest rewards for your risk lie and go with that. Unfortunately, there isn’t “literally nothing” in water, there are potentially pollutants and other things that will put you at risk for disease the same as milk. That’s not to belittle milk’s potential risk, it’s just important to realize that there are no completely safe options in life. This makes sense, that the option loaded with sugar is the option that kids would like to drink most. In some ways, the overload of sugar and calories outweighs the nutritional value. Schools could either try to find a healthier option or remove chocolate milk altogether. I personally think that regular vitamin D or 2% milk tastes better and has more nutritional value. I understand that children may not like this, and that they would prefer the sweeter option. However, if it the only option available besides water, they will drink it and eventually get used to it. Milk is one of the healthiest drinks for a human body. It provides nutrition for the body. But in this video the discussion is not necessarily about regular milk, the topic is more about chocolate milk which contains sugar which could affect the body. In a way chocolate milk is not bad for the body but it is not completely good for the body either. How beneficial is a drink that is “nutritious” when you already consume an adequate amount of your daily nutritional requirements through your food? Water is in fact the healthiest drink for a human body*. Milk Is not the only way to obtain the various vitamins found in milk. Although I do agree with your claim of the excessive levels of sugar found in chocolate milk, physicians recommend drinking chocolate milk after a rigorous work out because it provides electrolytes, sugar, and vitamins needed to refuel your body. Moderation is key, as someone who isn’t a fan of milk, I have not suffered any disadvantage by not consuming milk. We are the only mammals that are known to drink anything but water after having milk during our infant years. Now I’m not saying that we should just drink water and eradicate all of our drink options, but we have to realize that we are constantly consuming beverages that aren’t neccisarily needed in our diet because many of these can be found in our food, especially if you live in America. I believe milk is generally good for you, but the added sugars in chocolate milk may not be the healthiest, like you said. There are some pros and cons, but I do believe the advantages of drinking milk, such as the the Vitamin D and calcium content, definitely outweigh the disadvantages. Also, the scientific evidence about milk “being bad for you” is not entirely solid yet, and people have been drinking milk for ages. It’s going to take a lot more scientific data to convincingly prove that milk is bad for you. I mean there are other beverages, such as soda, that are way worse than milk. I don’t think milk is bad for you. It’s true that some flavors of milk are worse for you than others, but milk is still healthier than other forms of drinks like juice or pop. In the video “The Chocolate Milk Debate” they are talking about banning chocolate milk from schools due to the increased sugars it has compared to regular 2% milk. In the video a student says, “I get chocolate milk every day because it’s the milk I like to drink I’m not going to change what I drink because of 2 grams of sugar.” The video explains how chocolate is bad for you and that’s why we shouldn’t have it in our school lunches, but what about all the juice and pop schools sell? A bottle of apple juice has 5 more grams of sugar in it than chocolate milk. But the schools think because it has apples in it, it has to be healthier than chocolate. In the article “More Than Delicious: How Milk, Cheese and Yogurt Benefit Your Health” they give you multiple details on how milk and other dairy products are great for your health. One example is, “One cup of milk—whether whole, low-fat, fat-free or lactose-free—provides: Calcium Vitamin D Phosphorus Vitamin B-12 Protein Potassium Vitamin A and Niacin.” This just shows you how healthy milk is and if you add chocolate of strawberry flavoring to it you still get all these benefits just with a little added sugar. Another fact the article has is, “Whole milk contains3.5% fat by weight, the same amount found when it leaves the cow. Vitamin D is added to most milk produced in the U.S. to enhance the absorption of calcium.” Whole milk is the healthiest form of milk. It is basically the same milk that comes right from the cow. The only way they change the milk is by adding preservatives. Also in the “Is Dairy Bad For You, or Good? The Milky, Cheesy Truth” they talk about the pros and cons of dairy and milk products. One of the main arguments is that consuming milk is “unnatural”. They say this because, “humans are the only species that consumes milk in adulthood and certainly the only species that consumes the milk from another animal.” I mean they do have a pretty good point. After birth every other species only feeds their babies milk until they are big enough ti walk and gather food on their own. After that they go off and drink water like every other adult there. 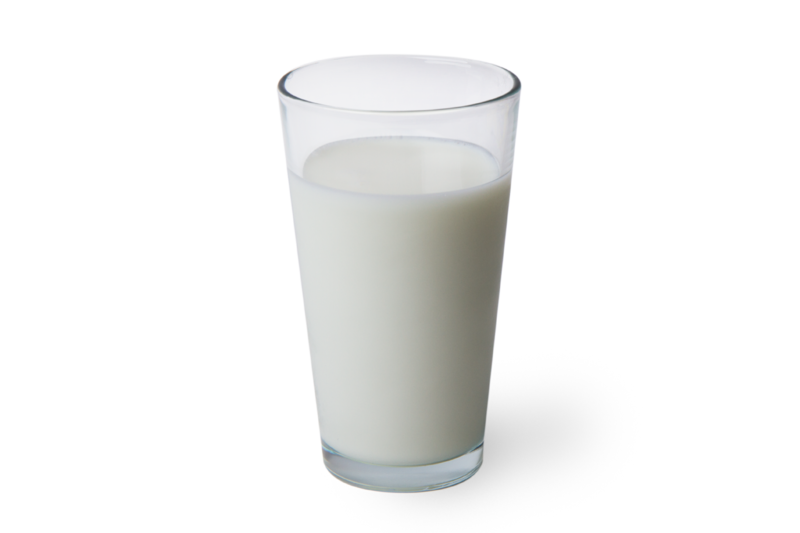 Another fact they have is, “calcium is the main mineral in bones and dairy is the best source of calcium in the diet.” Milk is one of the most calcium rich beverages we know of so to get big and strong and keep proper bone strength our parents would always tell us to drink lots of milk. So yes milk does have its downsides due to some forms of it having sugars, but for the most part milk is one of the healthiest drinks known to man kind. cares if humans are the only type of mammal to drink the milk of another species. downfalls, the benefits of nutrition in milk definitely outweigh the negative effects. that shouldn’t be frowned upon, but maybe something that can be praised. I don’t believe milk is bad for you. However, I often crave milk at night before going to sleep, so i wanted to know is it not as good for you to drink milk before bed? Also I have been told it is better for you to drink chocolate milk after a work out rather than wasting money on a protein shake. What is your view on this? I believe that there are pros and cons with milk. Pros are that it has calcium and vitamins in it which help our bodies function properly. The cons are that it has high sugar and fats which can lead to obesity. There’s a time for everything if you balance yourself with the amount of milk you drink then you should be good. Personally, I think milk has a great many benefits that outweigh any of the adverse effects this article discusses. I believe that drinking milk in moderation, probably several times a week, will give us all the benefits of milk without “overdosing” on calcium. And this is true about most foods, anything in excess is bad. I personally did not drink that much milk when I was a kid, but now, as a twenty-year-old college student, I love drinking milk. In addition, correlation does not equal causation, and just because there appears to be a correlation between women who drink milk and frequency of fractures does not mean milk is the culprit. Got Milk? We’ve all seen the posters, billboards, commercials and campaigns promoting milk and drinking milk, but is milk really as good for you as we think? For years mothers have been telling their children to drink their milk, that milk will make them strong, and that they need calcium from the milk. While milk is a very nutritious drink containing calcium, vitamin D, riboflavin, vitamin B12, potassium, phosphorus, vitamin A, vitamin B1 and B6, selenium, zinc, and magnesium, studies have shown that milk is not as good for us as we think. In the article, Got Milk?, the author says that a Swedish study determined that women who drank milk were more likely to develop fractures than women who drank little to no milk. Drinking dairy can lead to prostate cancer in men and ovarian cancer in women. The article, Is Dairy Bad for you or Good? The Milky, Cheesy Truth, says that 75% of the world’s population is lactose intolerant. As babies, we produced an enzyme called lactase which breaks down lactose from our mother’s milk. As babies grown up they lose that ability causing them to be lactose intolerant. Milk is also not a natural drink for people to consume. We, as humans, are the only species to drink milk in adulthood and we are definitely the only species to drink milk from another species. Consuming any type of cow’s milk has been known to lead to increased acne in boys and girls. This happens because there is abundance of a hormone called IGF-1 in milk, which is really good for baby cows, but not for humans. IGF-1 is a growth hormone. It makes a calf grow up big and strong, but in humans, it tends to make your acne grow big instead. IGF-1 causes inflammation in humans, and which eventually lead to acne, and the ugly redness and swelling that makes acne so annoying. Milk and dairy products cause an insulin spike in humans that cause the liver to produce even more IGF-1, leading to even more acne. So the more milk that you drink the more you acne you can count on. Dairy also causes your skin to produce excess oil, leading more clogged pores, more acne, and a breeding ground for acne bacteria, which feed on your oil and do what acne loves best-multiply. In the article 11 Reasons to Stop Drinking Cow’s Milk, number eight says that many and most cows that produce the milk that we drink are pumped full of antibiotics. They said, “This practice is leading to antibiotic-resistant bacteria, which may decrease the effectiveness of antibiotics used on humans.” In conclusion, Milk really isn’t as good for us as we thought. This was eye opening information to me, and I can tell you that I am cutting milk and most dairy products out of my diet. The next time someone asks you if you “Got Milk” reply with a strong and firm no! Milk is not good for you. It is just as unhealthy as some pops are. digestive enzyme called lactase, which breaks down lactose from mother’s milk. So there is a possibility that everything we’ve been told as children may turn out to be false. The age old scolding and encouraging getting your children to drink their milk. They’ve always said that it was good for your bones, and that there are lots of vitamins and minerals to help make your body a healthy one. New studies are coming to light that this is not exactly true. A Swedish study by Karl Michaëlsson steadily proves that milk isn’t so great to drink. He did the study over a period of time over twenty years and over one hundred-thousand people with the ages thirty-nine and seventy-nine. His results show the facts,”… A high intake of milk might, however, have undesirable effects, because milk is the main dietary source of D-galactose. Experimental evidence in several animal species indicates that chronic exposure to D-galactose is deleterious to health and the addition of D-galactose by injections or in the diet is an established animal model of aging. Even a low dose of D-galactose induces changes that resemble natural aging in animals, including shortened life span caused by oxidative stress damage, chronic inflammation, neurodegeneration, decreased immune response, and gene transcriptional changes. A subcutaneous dose of 100 mg/kg D-galactose accelerates senescence in mice. This is equivalent to 6-10 g in humans, corresponding to 1-2 glasses of milk. Based on a concentration of lactose in cow’s milk of approximately 5%, one glass of milk comprises about 5 g of D-galactose. The increase of oxidative stress with aging and chronic low grade inflammation is not only a pathogenetic mechanism of cardiovascular disease and cancer in humans but also a mechanism of age related bone loss and sarcopenia. The high amount of lactose and therefore D-galactose in milk with theoretical influences on processes such as oxidative stress and inflammation makes the recommendations to increase milk intake for prevention of fractures a conceivable contradiction.”(Karl Michaëlsson, TheBMJ) Simply put milk can damage your immune system and cause accelerated aging as well as bone density loss. Various other studies (WebMD,Healthline, BMJ) show that Milk actually can damage your bones over time. Milk should be treated as soft drinks, its ok every once in a while, but not to be overdone. It is obvious that kids will always go for the better tasting chocolate milk, and of course that milk is the one loaded with sugars. Though I would rather have the milk loaded with sugars than all the chemicals needed to make it healthy and air quote beneficial for me, it’s time for even a healthier alternative for milk. Why not serve fruit juice and have happier healthier kids? Milk can be an option but only at your own risk, or possibly for cereal. No more mandatory milk, switch to better options. I think that milk is good for us. Milk is good for us because as it was stated in the short article, “Milk is one of the most nutrient-rich beverages”. Milk is a great source of calcium and helps promote bone density, limits osteoporosis, and prevents fractures. Many are against milk, and like the article said there is a large majority of people who are lactose intolerant, but when you look at the information giving you can see that for every con there are two pros. The article states that milk is linked to prostate cancer, but later on in the article it’s stated that milk prevents “certain cancers” though vague, it does mean that milk overall heals more than it hurts, unless you’re lactose intolerant but otherwise, you’re good. I think that milk is good for you because it has a lot of vitamins and overall is just a very nutritious source. Milk contains calcium which helps with your bones and helps prevent osteoporosis. I think that the risks involved with drinking milk outweigh the benefits. The vitamins and nutrients milk has to offer can be found elsewhere. Drinking too much milk can cause risks, and from personal experience, create acne and other health issues. My suggestion would be to find another source of calcium.